There will be 3 prize winners in total: A Grand Prize Audience Award, 2nd Place Audience Award and the See What I’m Saying Award. A Mini Competition Winner with the most creative social networking campaign will also be awarded. * The winning film will be screened at the VIP Hollywood SEE WHAT I’M SAYING DVD release party with all expenses paid (airfare, hotel) for the winner to attend. * The grand prize winning film will be screened at the Focus Film Festival in Chico, CA for the public. * The winning film will be featured on the SEE WHAT I’M SAYING and Sprint Relay websites. * A VIP Hollywood industry meeting with executive/artist from MGM, DreamWorks, Sony and others. Win a one-hour meeting with a casting director, studio head of development, award winning cinematographer, studio writer or others. List of choices will be revealed to the winners. Interpreter will be provided if needed. These execs/artists want to support our winners by giving them tools, advice and possibly your big break! * Sprint BlackBerry® phone (does not include service. Activation fee and monthly charges must be covered by the recipient). * Dell™ Mini Netbook computer. * The 2nd place film will be screened at the VIP Hollywood SEE WHAT I’M SAYING DVD release party with all expenses paid (airfare, hotel) for the winner to attend. 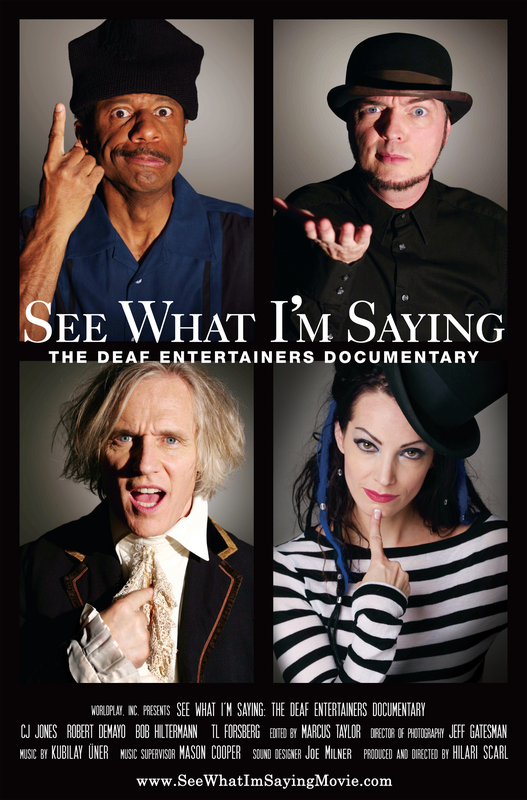 * The 2nd place winning film will be featured on the See What I’m Saying website. * A VIP Hollywood industry meeting (interpreter provided if needed). * The winning film will be screened at the VIP Hollywood SEE WHAT I’M SAYING DVD release party with all expenses paid for the winner to attend. * The 2nd place film will be screened at the Focus Film Festival in Chico, CA for the public. * Your short film will be featured on the See What I’m Saying website. We’re asking all you Facebook users and Twitterers to facebook and tweet about #SWIS throughout the competition. 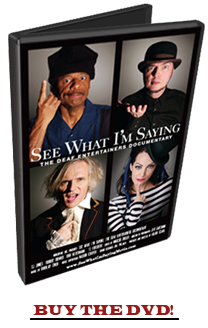 We will pick one lucky person with the most creative social networking posts to win a SEE WHAT I’M SAYING autographed poster and a SEE WHAT I’M SAYING DVD.